With the home media release of Star Wars: The Last Jedi coming up later this month fans are about to be treated to a plethora of bonus features, including fourteen deleted scenes. Before the release of the film on digital and blu-ray, Entertainment Weekly was able to give fans a look at five deleted scenes from the film, as well as insight from writer/director Rian Johnson about the scenes and why they were deleted. "I was looking for any opportunity I could to emotionally connect those two. I thought it was a really sweet little scene. I loved John Boyega’s performance in it. Ultimately it was meant to explain his motivation for going [to find Rey and quit the Resistance], but we realized that you understood his motivation, because he tells it to Rose." 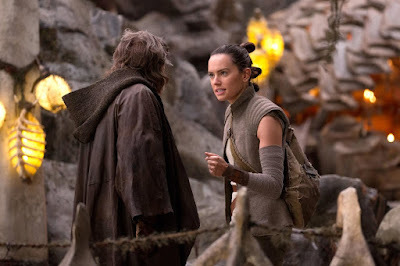 The second scene discussed is a confrontation between Rey and Luke. Luke tricks Rey into thinking that the Ahch-To Caretakers are in danger and that she can't save them. 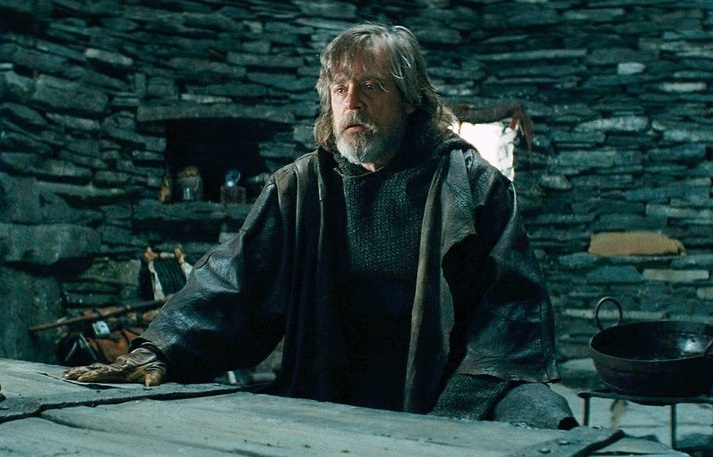 Johnson describes the moment as a "breaking point" for Rey and her relationship with Luke. The director said, "This is the point where she finally says, 'Okay, if you’re not gonna help, then I’ve wasted too much time here.'" The scene had previously been rumored, and we've already got a glimpse at it in a recent episode of The Star Wars Show. From these, many of us had assumed that this was intended to be the "third lesson" that Luke promised but never taught Rey. However, this is not the case according to Johnson. Instead, it's something that's been left open for Episode IX should JJ Abrams want to pick up on. The third scene would have given Luke Skywalker more of a chance to mourn the death of Han Solo, specifically we would have seen Luke tear up over the loss of his friend. Ultimately Johnson chose to lose the scene when editing the film, but it was not without remorse. Johnson explained to EW, "I was very sorry to lose it. I think it’s a beautiful performance from Mark Hamill. But I think that we get a similar beat with him, later when he’s in the Falcon with R2." "The implication from the exchange is that this was obviously an embarrassment that this happened with Finn, and that First Order didn’t let the info get out, as much as they could. The tension is broken by the fact that he doesn’t really know the story of what happened with Finn." And finally, the last scene was an alternate version of the showdown between Finn and Phasma which would have featured Finn revealing the truth about Phasma's betrayal to her stormtroopers, as well as an alternate death for Phasma. The scene was ultimately reshot because, according to Johnson, "Pacing. Entirely pacing." You can find out a lot more about the deleted scenes, including more insight from Johnson, here. Star Wars: The Last Jedi will be released digitally on March 13th and on blu-ray and 4K Ultra on March 27th. Given how terrible The Last Jedi was, one can only imagine how terrible the deleted scenes must be! I'll never see them because I won't spend another penny on TLJ crap, including the DVDs.